Kidi One is a Hull number 12 on the series Leopard 34, built in Italy by Arno in 2007 and delivered in 2008. Her top speed is 43 knots and she boasts a maximum cruising range of 550.0nm at cruising speed with power coming from three 2400.0hp MTU 16V2000M93 diesel engines. She can accommodate up to 8 people with 5 crew members waiting on their every need. 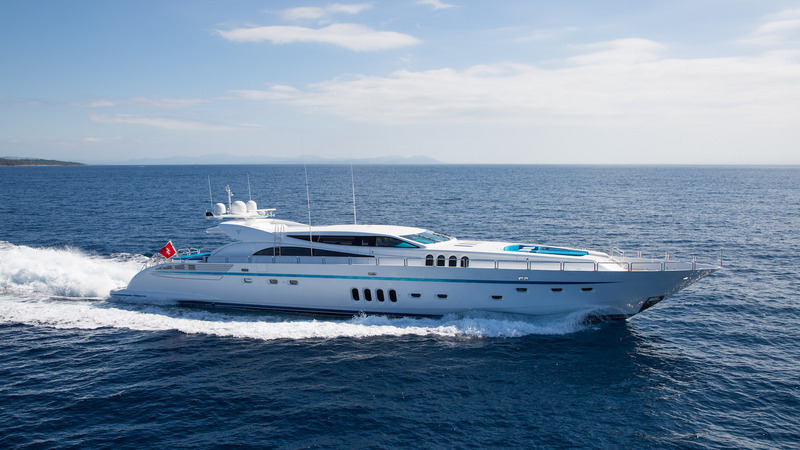 Kidi One is in pristine condition under French commercial flag with VAT Paid which making her on of the best Leopard 34 on the market. Find all Lux Yachts here!